Other nationalities find the double bass a cumbersome instrument. But, perhaps because they are, in the main, tall, healthy and strong and thus can handle it with relative ease, Danes love it. Since its introduction by the great native American bassist Oscar Pettiford in the late 1950s, it has come to play a major role on the local scene. The thing is Danes take their jazz seriously. There is now a Rhythmical Music Conservatory, or university of the bass (and other rhythm instruments), in Copenhagen. 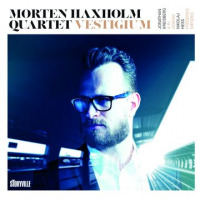 Morten Haxholm is a graduate and on Vestigium he underlines his nation's bass supremacy by hiring two American musicians, Jonathan Kreisberg (guitar) and Ari Hoenig (drums), to help give the album "a New York vibe." In this he has succeeded. The session "cooks" right from the start, on his own composition "Occam's Razor," which has, by the way, been picked up by US trumpeter Eric Siereveld for his new album. Occam's Razor is a principle attributed to the 14th century logician and Franciscan friar William of Ockham, the English village where he was born, which states that "entities should not be multiplied unnecessarily." Another way of putting it is that "when you have two competing theories that make exactly the same predictions, the simpler one is the better." This accords with Haxholm's attitude to his instrumenthe has no ambition to elevate it to the front line. At least not on the evidence of this album, it stays firmly part of the overall sound. Haxholm explains that the title track, "Vestigium," which follows, means the spiritual imprint of a person or a feeling"As when you watch a good friend leave on a train, but have a feeling of them still being around." In keeping with his definition, this is a slower, more reflective number, allowing Kreisberg the opportunity to stretch out a little. The album continues in a swinging ballad mode. "Central Park West" is a dreamy ode to an up-market area of New York. 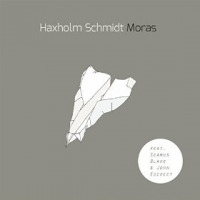 Haxholm allows himself a solo that demonstrates he has his chops but doesn't go on too long or threaten the overall feel of the album. The same can be said of his solos on "A World Without End" and "All Or Nothing At All." "Leviathan" and "Deep Sea Explorer" indicate a nautical feel, in keeping with Copenhagen's role as "lovely old queen of the sea," but its not at the expense of that New York vibe. A great album: thinking man's jazz you can pat your foot to. Track Listing: Occam’s Razor; Vestigium; Central Park West; Leviathan; Obviate; Deep Sea Explorer; A World Without End; All Or Nothing At All. 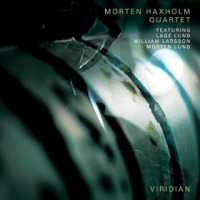 Personnel: Morten Haxholm: bass; Jonathan Kreisberg: guitar; Frederick Menzies: saxophone; Nikolaj Hess: piano; Ari Hoenig: drums.